The spring Ph.D. Commencement and Hooding will be held Monday, May 6 at 7 p.m. in Rialto Center for the Arts. Spring 2019 Commencement for associate degree candidates in Perimeter College will be held Tuesday, May 7 in the Clarkston Campus Gymnasium. Click here for more details. Spring 2019 Commencement for bachelor’s degree candidates in the College of Arts and Sciences will be held Wednesday, May 8 at 10 a.m. in Georgia State Stadium. 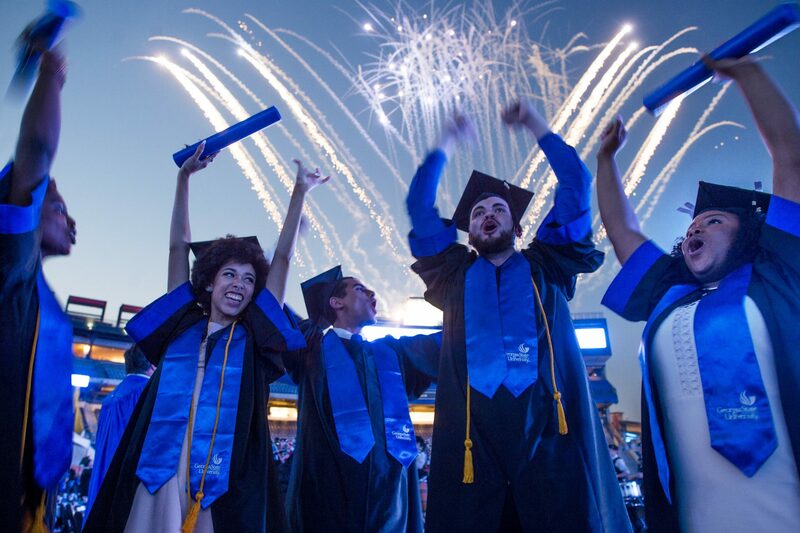 Spring 2019 Commencement for bachelor’s degree candidates in the Andrew Young School of Policy Studies will be held Thursday, May 9 at 10 a.m. in Georgia State Stadium. Spring 2019 Commencement for bachelor’s degree candidates in the College of the Arts will be held Thursday, May 9 at 10 a.m. in Georgia State Stadium. Spring 2019 Commencement for bachelor’s degree candidates in the Byrdine F. Lewis College of Nursing and Health Professions will be held Thursday, May 9 at 10 a.m. in Georgia State Stadium. 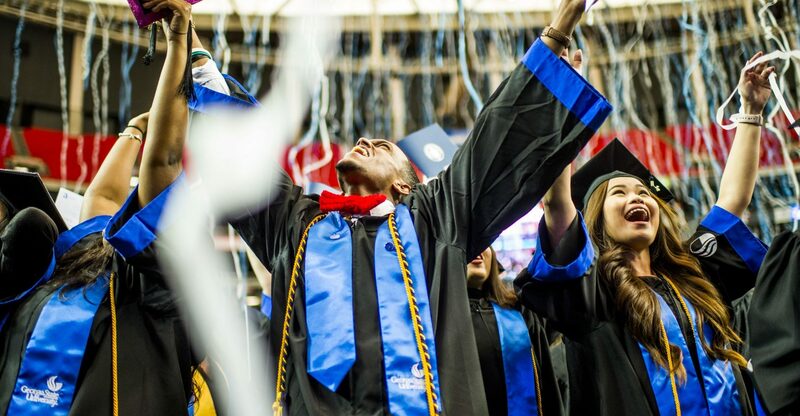 Spring 2019 Commencement for bachelor’s degree candidates in the J. Mack Robinson College of Business will be held Thursday, May 9 at 10 a.m. in Georgia State Stadium. 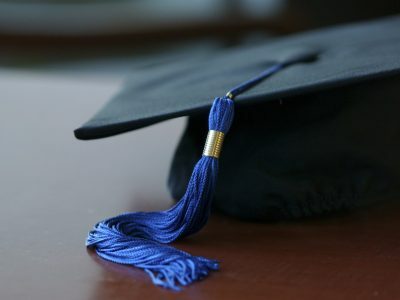 Spring 2019 Commencement for bachelor’s degree candidates in the College of Education & Human Development will be held Thursday, May 9 at 10 a.m. in Georgia State Stadium. Spring 2019 Commencement for bachelor’s degree candidates in the School of Public Health will be held Thursday, May 9 at 10 a.m. in Georgia State Stadium. Ceremony 1 at 11 a.m.
Ceremony 2 at 3 p.m.
Georgia State University will host its 104th Commencement Monday, May 6 through Tuesday, May 14. 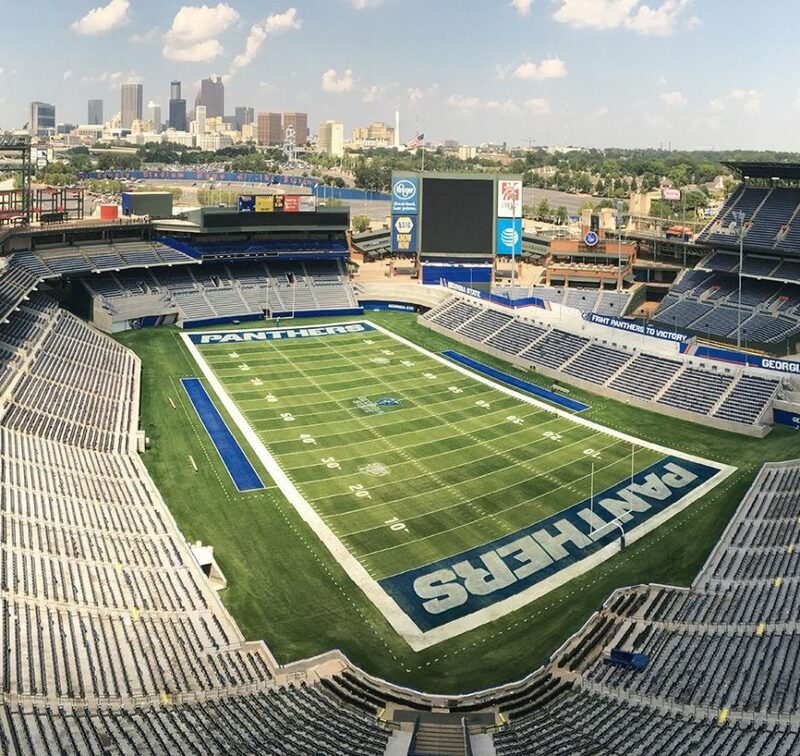 We are proud to announce that commencement for bachelor’s degree candidates will be held at Georgia State Stadium. Candidates will be recognized individually on stage at each of these events. NO tickets are required and candidates may invite as many guests as they like. Ceremonies will occur rain or shine. Perimeter College will hold ceremonies for associate degree candidates on the Clarkston campus. Graduate-level ceremonies will be managed by each respective college or school. The Ph.D. Commencement and Hooding will take place separately, as always. Prepare for Spring 2019 Commencement by registering and purchasing your cap and gown. Alma Mater, we are loyal to the name of Georgia State. Love and honor we accord thee and devotion from our hearts. In respect and veneration we shall always hold thy name. Nurturer of light and knowledge we shall ever tell thy fame. Happy are thy sons and daughters spread abroad throughout the land. Knowing that we are forever part of thine own faithful band. And the love of Alma Mater we shall never pass beyond.